Hello there. Welcome to “Girl with the Green Book”. I’m Maria and I write. This blog is basically a collection of “noted notions” of mine- just ideas, realisations and also, lots and lots of poetry. I am a huge fan of spoken word and free verse, but I love to build on rhymes and themes as well. A lot of my work revolves around mental illness, especially with poetry I feel like we need to be the most honest versions of ourselves to create real, important writing that is much needed in the world. My experience with depression and anxiety has always made writing feel like home to me. And by extension, this little corner of online content too. Thank you for clicking on my blog and I hope you enjoy your stay here! Feel free to comment below for any suggestions, queries or simply to talk 🙂 Until next time! And I like cold too, but only when I’m not freezing. Which never happens. Yes it is, biggest adventure is diving into people and deciphering them 😀 Irrespective of whether you like the way they are or not. And mostly they are adorable. Humans are adorable. Hahaha! It’s really great to know that you think that! “Adorable humans” works for me! 😀 and totally is true what you said about diving into them and learning them! So your friend found my friend’s blog and led me to yours. And, I am so happy she did. OMG OMG your name is Maria!!! I LOVE the fact that you came here and typed this comment, it made my day! 😀 Bless our friends 😛 Which friend btw? That’s awesome that we share all that especially birth months! And almost share dates too 😛 I love that you have what you have in common with me, it’s nice to know you! And pfftt My first diary was blue, it was more like a notepad, then I had a yellow diary for years can you believe that it was the weirdest shade! THEN came the green one. Now I also have a new green one ’cause the real one’s gonna finish soon and when I picked the name of the blog, I unknowingly signed an invisible contract to always have green diary or “book” to write. Hahah, yes. We almost share our birth dates too. It’s equally nice to know you, Maria. God. Same names. Eeep. AND our history on diaries. Maaan I have had the same childhood in this regard. Like whenever ammi would go shopping, she’d get a small notepad for me. It was on my bday that they got me the grey one, which was my first official THICK book. And I still have it, though in kind of a bad shape, with so many awkward memories. xD So I totally understand the thing! And have still got two new ones though I don’t currently know what for. 😀 What did you use the yellow one for? Oh so you’re Ghalia’s friend. It was so nice meeting her too haha! And YEASSS best gifts are notebooks and candles. bas. Haha! Nice to know you! Yar I’m trying to open your blog it isn’t working! I wanna read more of your stuff. i read the peshawar attack material only. its opening i checked, try a different browser. I think its some wordpress problem. My brother and I have been trying to fix it. Nowadays many wordpress blogs are being blocked in Pakistan one by one I’ve heard quite a few people saying their wordpress was blocked. Lemme see what else I can do. Love your words. Nice to meet you. Will visit again soon. Keep up the good work. Thank you! I’d love for you to come back over and over 🙂 I see you have read through several of my posts already, thank you for that! I LOVE READING TOO! What kinda books do you like? Favourite authors? My passion for writing and reading go side by side. I just don’t like books which are based on history or are dry and dull. Pleasure reading should create pleasure right? exactly, mine does too. I started reading out of course material as soon as I learnt to read properly in grade 1 or 2. I used to try and read those difficult words in my grandma’s newspaper haha 😛 and I started writing when i was about 7 or 8 so kinda the same age i started both. It’s wonderful to know you and to visit your wonderful blog! 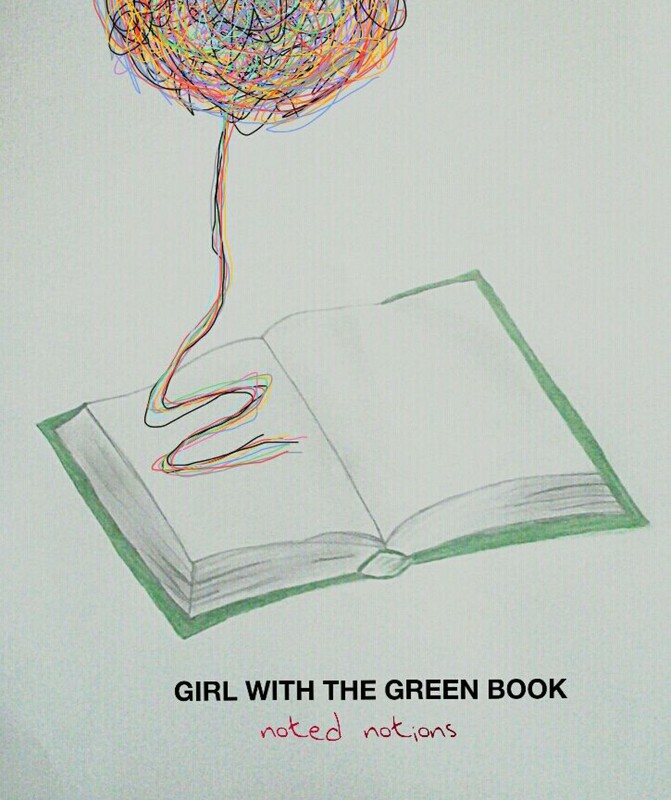 Apart, it’s a very unique and amazing blog title: Girl with the green book. Hahaha if you have read the comments above you’ll know that this has been happening a lot with me lately 😛 I love ittt! And high five that little brother for me, will ya? Hahah! Oh yes I just saw..! Who doesn’t love Disney stuff? Heyy. You’re very kind too! And when I get to stalk your blog fully then you’ll know how wonderful I think it is. That’s awesome that you like disney! High five! There is nothing to dislike about winters 😐 but there is a lot to dislike about my blog lol. You’ll know. And to that I say, YOU will know. Hi Maria! Happy to have found your blog! Loved reading your presentation! I’m really happy you discovered my blog too. 🙂 looking forward to having you around. I just want to say Thank you. Remember me in your prayers sister. Oh my goodness it’s been so long since you commented I’m sorry for not replying earlier. It’s not been that long. 🙂 Don’t say sorry. Haha wellll I’m really happy to know in that case that I did something nice which I don’t actually remember? It’s good to not remember good deeds sometimes. I’m just glad I did whatever it was that made you happy. You have too you know, so thank you! It was a very good deed. I’m kinda sorta jealous cause you’ll keep earning more good deeds cause of it. Lucky you. Long time, no post dear. Hope you are in good health and all. I am Alhamdulillah good. Just going through some personal changes so I have taken some time off. I have some new things written though, I’ll post them soon in sha Allah. That’s good to hear that you are fine. A break is good, no doubt. Take your time. Its just that a lot of bloggers are closing down their blogs…and I thought, not you too. Have a good day and stay safe! Take care and good day. I am fine, Alhumdulillah. How are you?